Helen Thomas, also promoted as "The Singing Sweetheart" by label owner Buck Trail (real name Ronald Killette), remains a mysterious figure in the Miami rock'n'roll scene. She recorded that one record for Trail and then slipped into obscurity again. 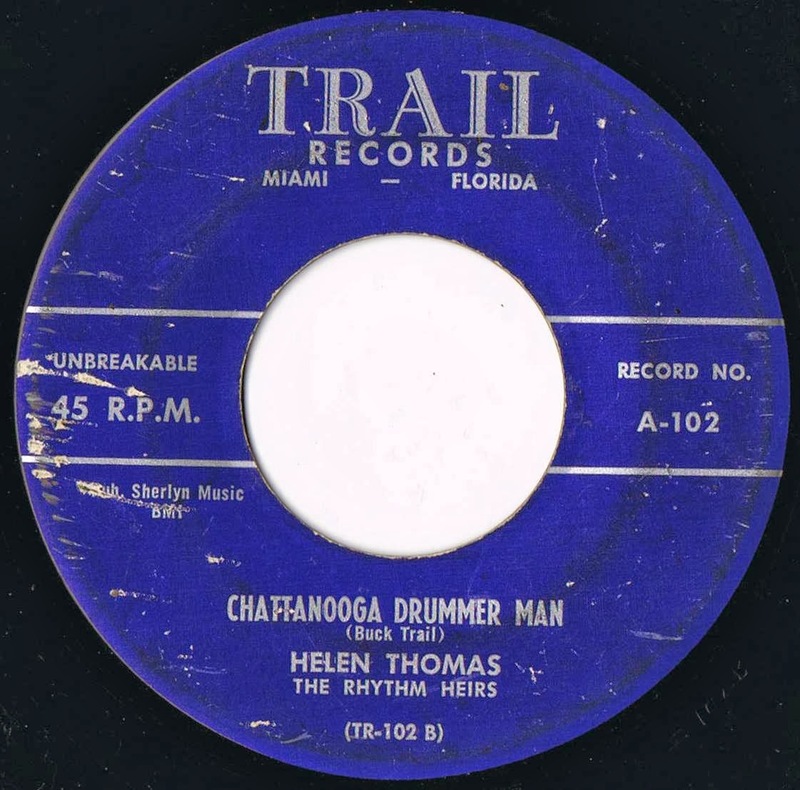 Thomas recorded "Chattanooga Drummer Man" b/w "Young Sweethearts" in 1958 for Killette's short-lived Trail Records, which lasted only about half a year. Killette, who was a local promoter and songwriter, performed under the name of Buck Trail and also released a couple of records, including his version of "Chattanooga Drummer Man" that same year. "Chattanooga Drummer Man," a knock-off of Red Foley's "Chattanoogie Shoe Shine Boy" written by Killette, is a rather chaotic version of the song. Thomas sings four about a minute, then the band keeps on jamming away for the rest of the song with hollers and shouts thrown in. Thomas' version was solely reissued on the Collector CD "Savage Rockin' Girls" in 1999. Hi Vance, you can contact me via email, look at my profile page. I'm the author of the upcoming article, so if you have any questions, feel free to contact me!